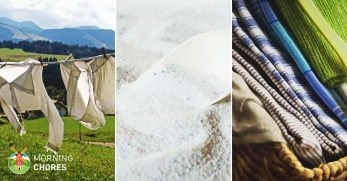 Coming into the winter months, it’s important to remember that while you’re cuddled up inside, wrapped in a blanket with a hot mug of something delicious, the struggle to find food gets increasingly difficult for our small feathered friends outside. I remember spending hours watching birds on the bird feeder with my granny when I was little, sitting in awe as she reeled off all their different names. 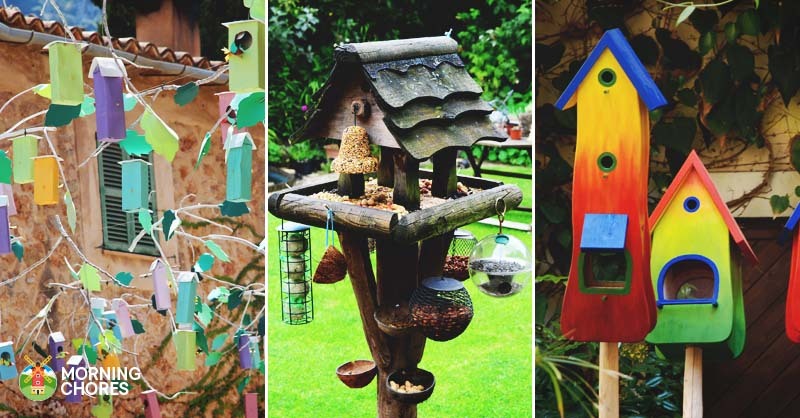 So pop on your DIY hat, and get making one (or more) of these DIY bird feeders, to do your bit while also adding a little bit of style to your garden. 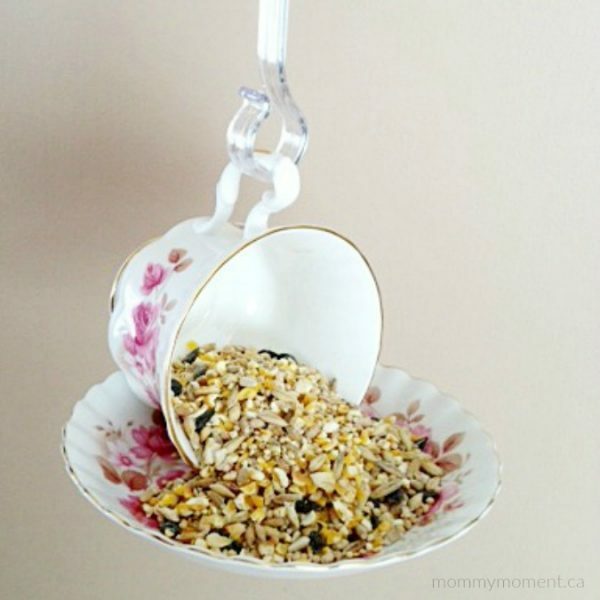 If this teacup bird feeder doesn't give you complete Alice in Wonderland vibes then you must not have seen the movie. Imagine having lots of these dotted around your garden and hung in the trees, you could even extend the theme and add teapots and sugar bowls for the full fairytale experience. 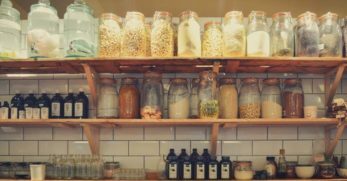 Mason jars have been all the rage for a while now, and quite rightly so in my opinion. 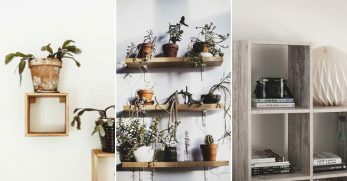 They’ve come a long way from just storing food, now being used as home accessories like vases, pencil holders and much more. 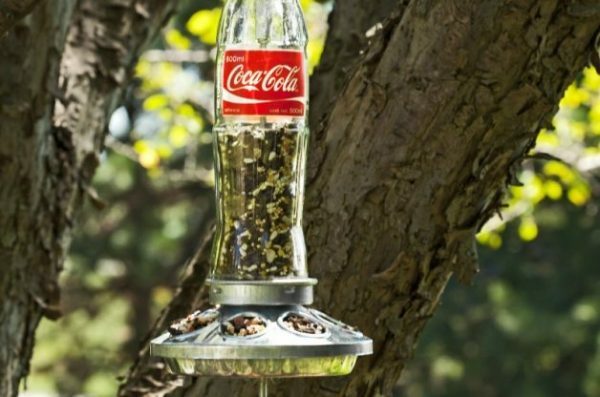 Carry on that trend by making yours into a mason jar bird feeder, so your garden visitors can have modern day furnishing, just like you do. 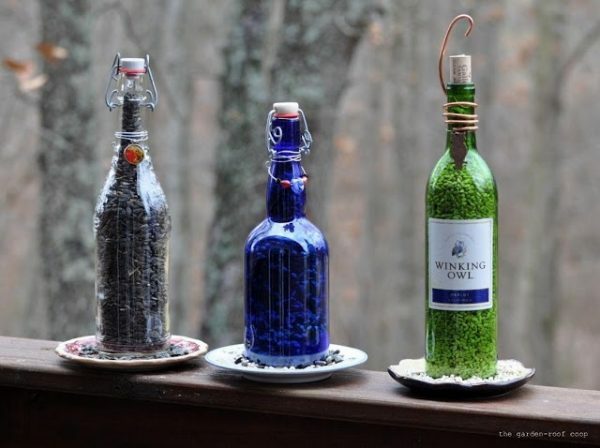 Once you’ve finished treating yourself to a bottle of wine, treat your birds to the same with these wine bottle bird feeders. I love the look of these, and not just because I am a fan of wine. 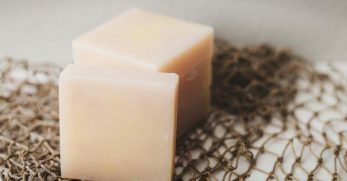 They look so rustic but stylish, almost like something you would find in a little street in Italy or Spain. 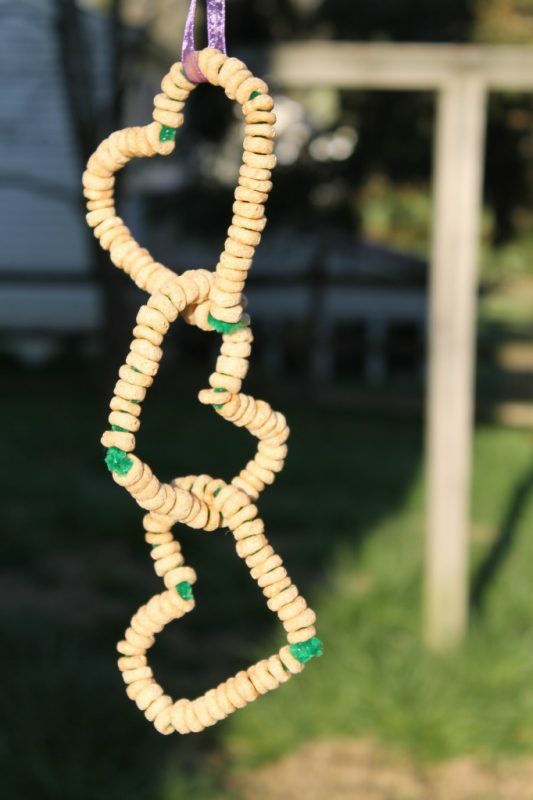 These are the cutest little Cheerio heart bird feeders, and in the not so damp months would both look lovely hanging around your garden and serve an excellent purpose. 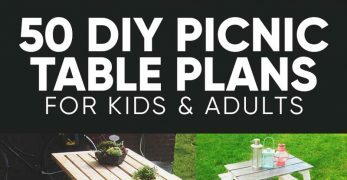 This would be a fun craft to get your kids involved with too, so get creative by making different shapes and even garlands. I personally think this idea is genius. Every household gets rid of tons of these cardboard toilet roll tubes, so why not put them to better use. 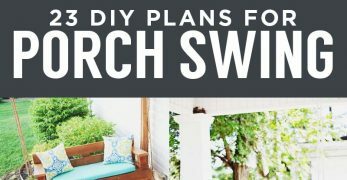 Chances are you will already have everything you need to make these in the house, so what are you waiting for, get DIY-ing. This is like a buffet for birds. 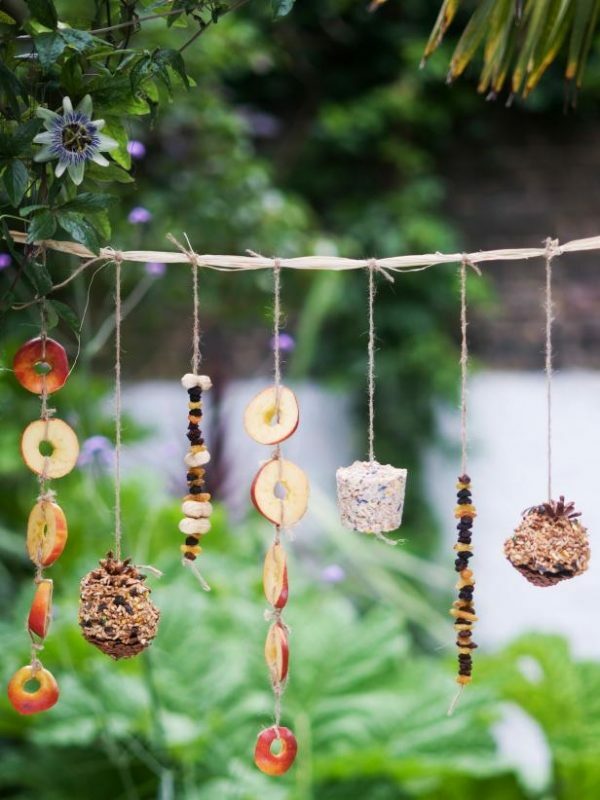 You could make this bird feeder garland look really autumnal so that it works as a decorative seasonal piece outside your house. 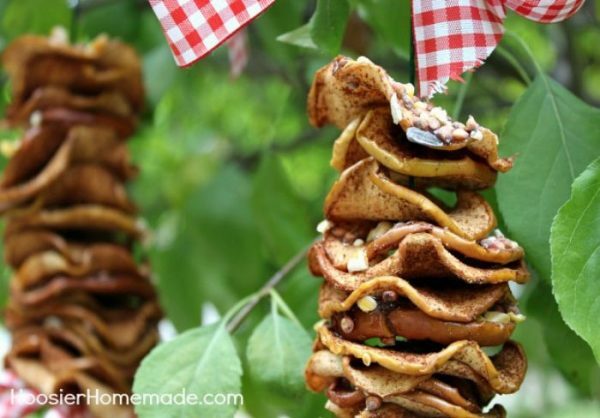 Try experimenting with dried fruits like oranges and apples, along with pine cones and suet shapes. 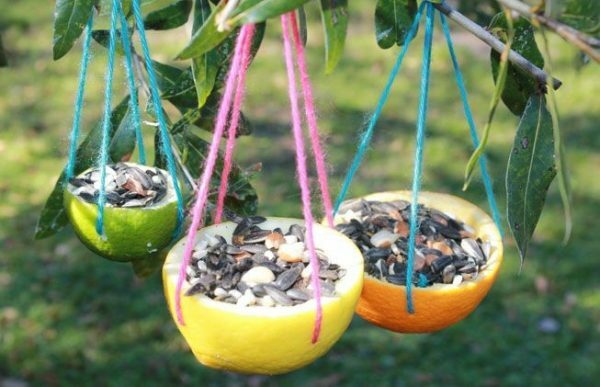 Your leftover fruit peels would probably be going into the bin or onto the compost anyway, so why not give them a second life as a citrus peel bird feeder? This can also act as an incentive for your kids to eat fruit, they know that once they do they've got some arts and crafts coming up to reward them. 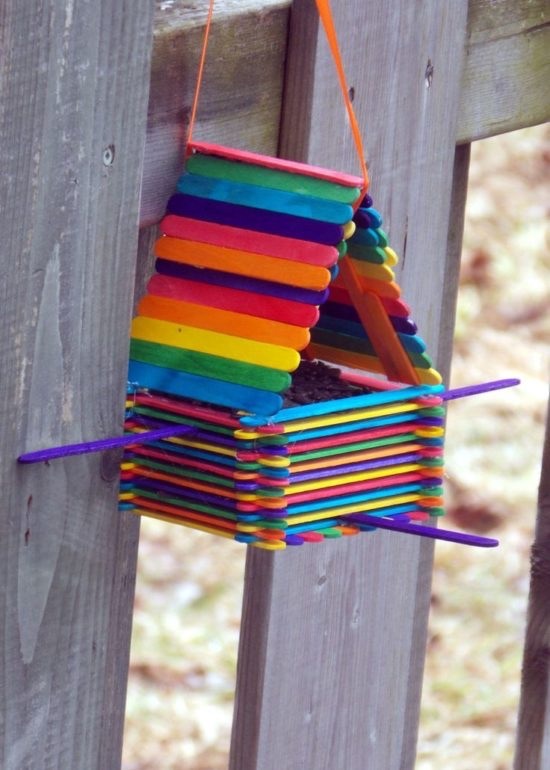 Can you really say that it wouldn't make you smile to see these little colored popsicle stick bird feeders dotted around your garden? 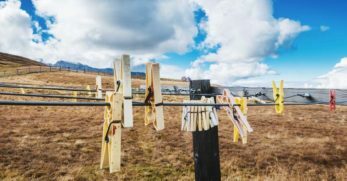 Because popsicle sticks are cheap and easy to work with, you could try so many different styles and colors. I’ve got my sights set on making a full village of these. 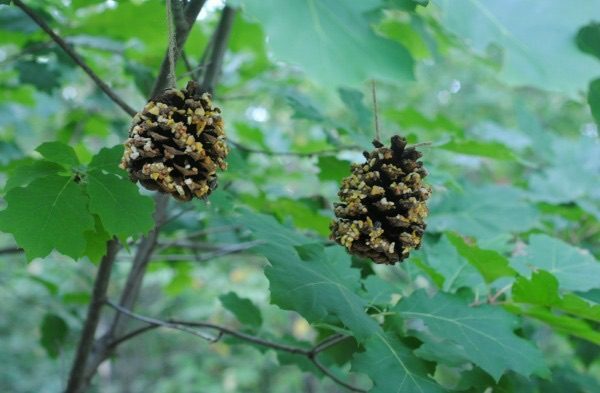 If you would prefer your bird feeder to look a bit more natural and to be able to watch birds without an obtrusive feeder in your garden, then these pine cone feeders are perfect for you. Hang up as many as you want amongst the trees, of all shapes and sizes, and no one would ever know that they were there. 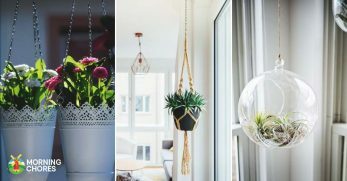 This hanging bowl DIY is impressive, as it gives you three in one. Your lucky little garden birds will have a shelter, food and water all in the same place. 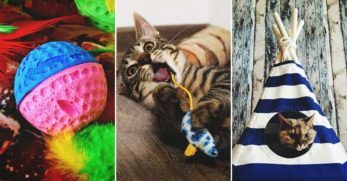 Even if you don't already have some plastic bowls and straws in a cupboard somewhere in your house, which you probably do, all the materials needed to make this feeder are easily found. 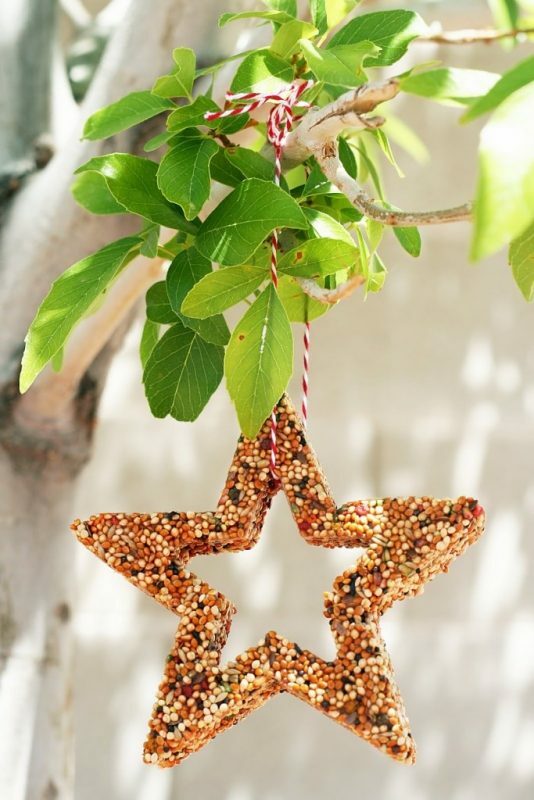 These star-shaped feeders could almost double up as Christmas decorations, that's how pretty they look hung up. 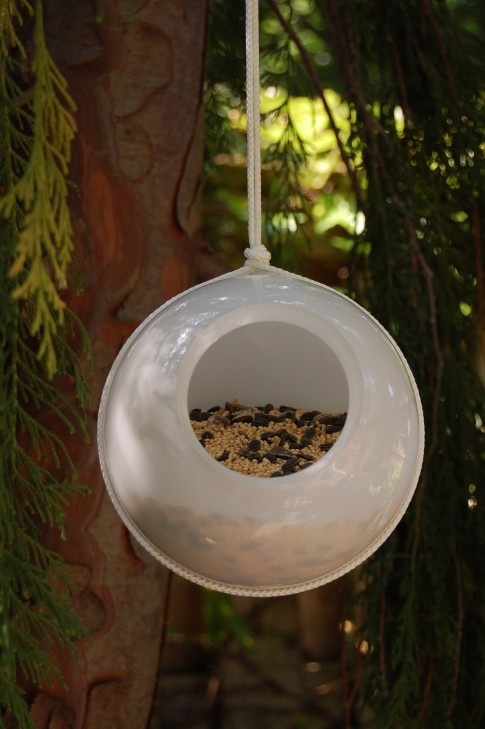 This is a nicer looking take on the classic suet ball bird feeders, and why stop at stars? 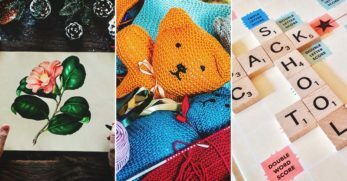 You could make them into any shape you wanted to, something that kids will absolutely love. 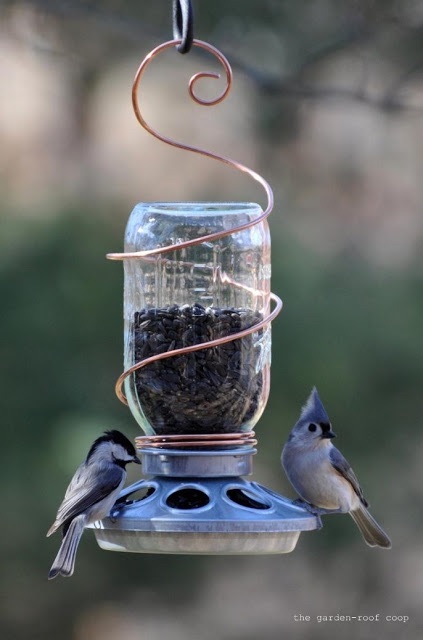 Bird feeders are inexpensive to both make and maintain, especially when they’re made from everyday household objects, just like soda bottles, that would otherwise be discarded. 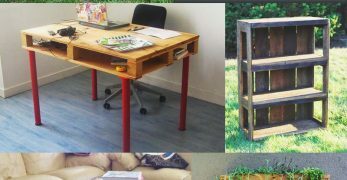 Never mind recycling, take it one step further and start up-cycling. 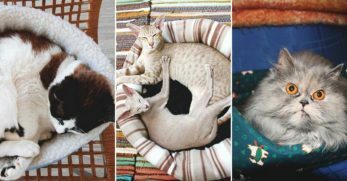 Now, this is potentially one of the cutest things I have ever seen. 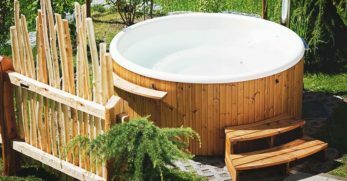 It may be on the more challenging end of the DIY scale, but it’s undoubtedly worth it. 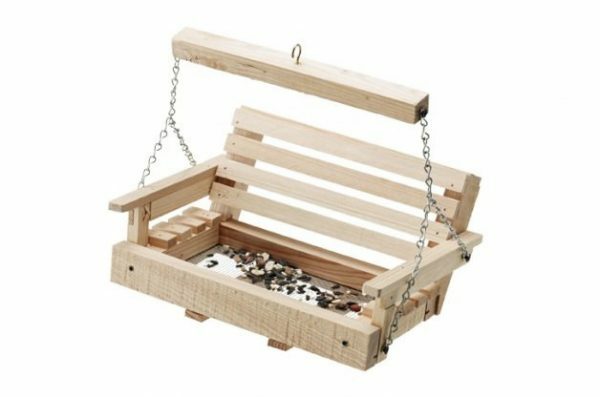 Imagine watching the little birds swinging on their very own porch swing in your garden. 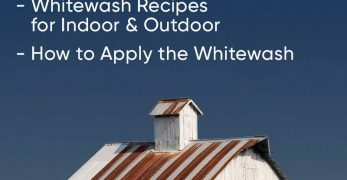 Make this, and your garden is going to be very popular amongst the bird community. 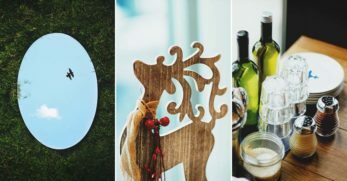 With the festive season approaching faster than we expected, this DIY bird feeder wreath is a must. Pop one, or many, of these up in your garden, and watch as your kids get excited seeing robins stopping off there for a little treat. 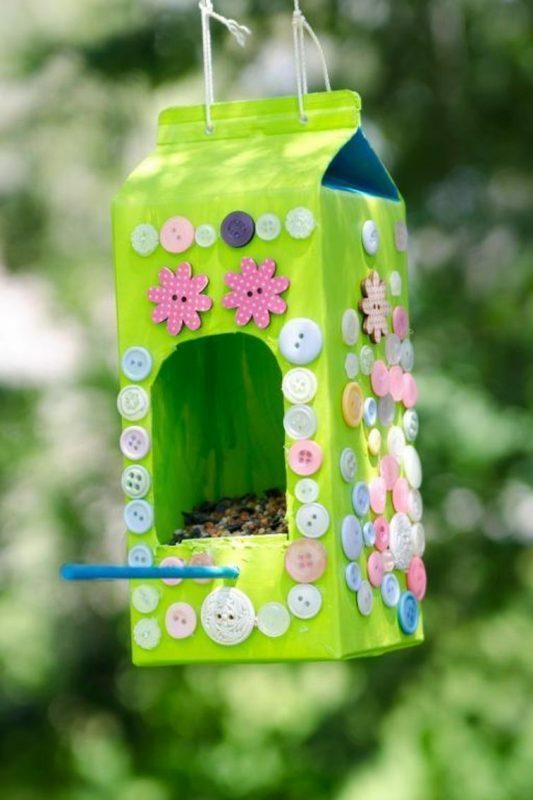 These milk carton bird feeders are great because the possibilities for them are endless. 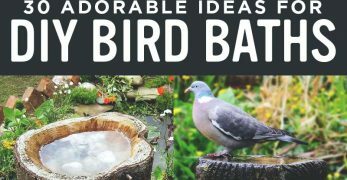 You could paint them as little houses or hotels for birds, use seasonal themes, or even stick some seeds onto the outside with peanut butter to make them even more appealing to the birds. 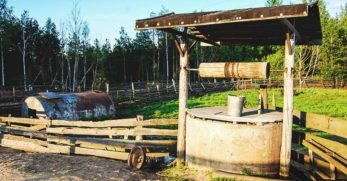 To be perfectly honest, these dried apple feeders don't look too far from something that I myself would happily eat. They look delicious. If you put a couple of these out in your garden, everyone in the bird community will be hearing about your new gourmet restaurant. This looks quite familiar, as it is similar to the standard bird feeder that you can buy in shops. This one is better, however, as you can make it yourself. 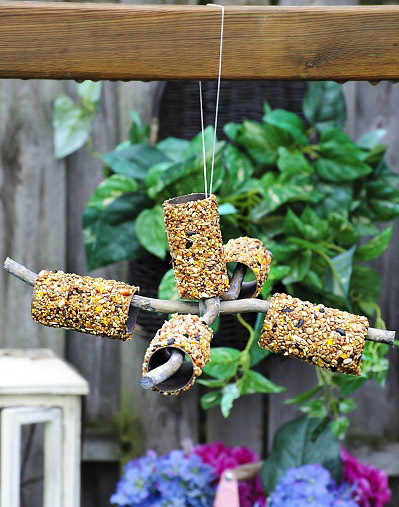 Follow the easy guide on how to make this tower bird feeder, and create something that looks so professional that you could have taken it right from the shelf in a store. 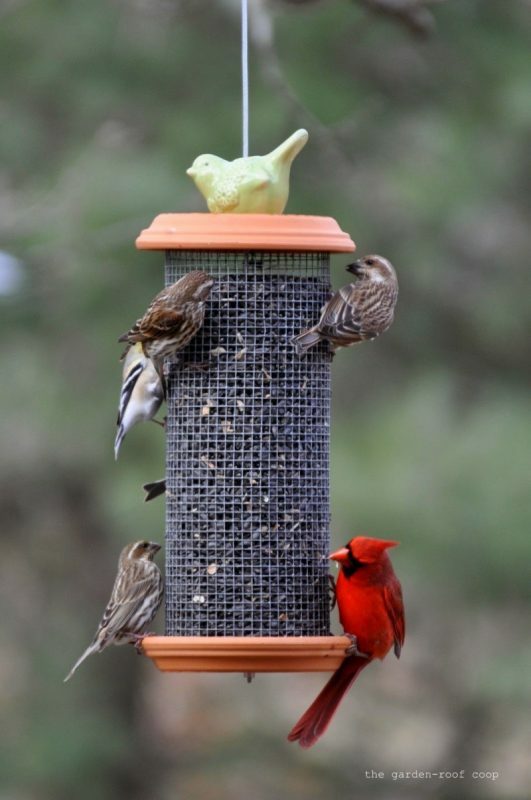 These paint can bird feeders are the perfect little pops of color to hang around your garden, and very easy to recreate. 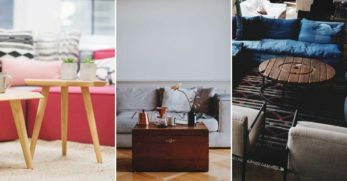 You could even pick a theme, like go for oranges and browns in autumn, then change to bright pinks and yellows in the summer. 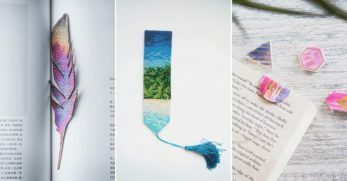 The beauty of these is that you can change up the design whenever you want, so let your creativity run wild. 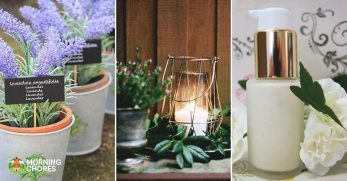 The instructions for this DIY orb feeder use glass lampshades, but you could use your imagination and use other things instead. Even plastic bowls would work just as well, and you could decorate them to your heart’s content. 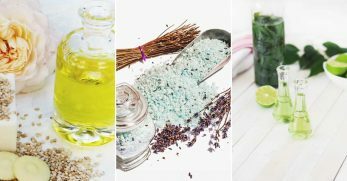 So now that your head is full of ideas of how to treat the birds that visit your garden, it’s time to choose which ones to use. 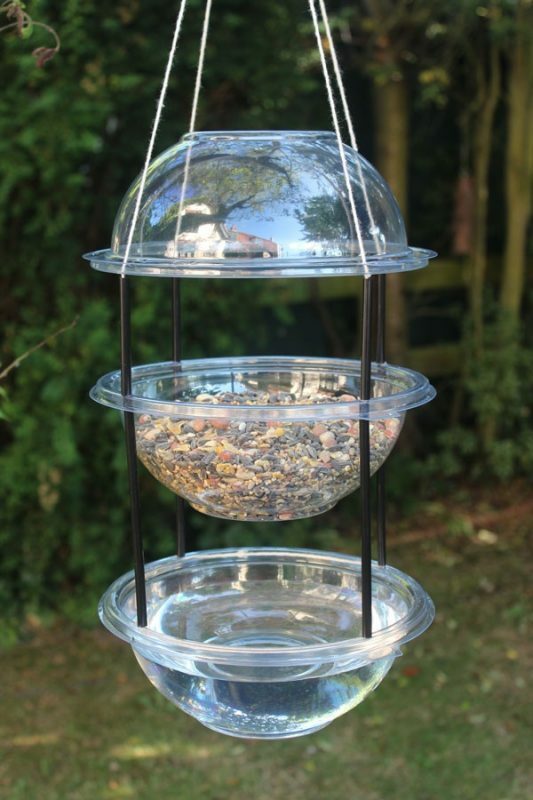 Even better you could use a mix of different ones and make your garden like a continental buffet for birds. 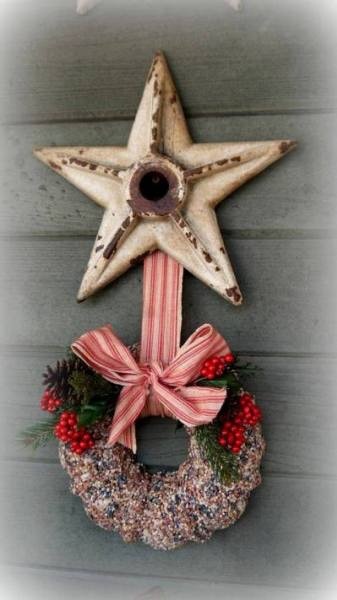 I am definitely going to try out the one using mason jars, as I already have them dotted around my home, and those star shapes are calling my name around this time of year. 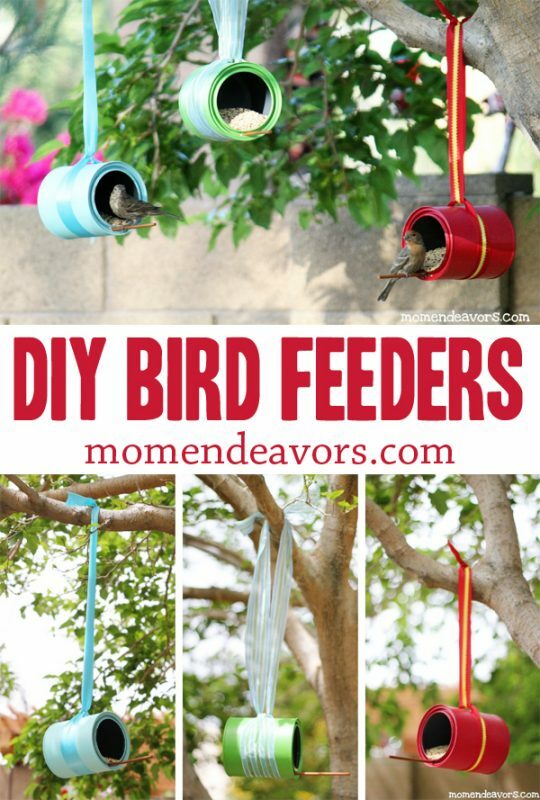 Do you have any of your own DIY feeders gracing your garden that you can share with the rest of us who want to feed our little garden visitors? We like hearing from you so just leave your comments below.